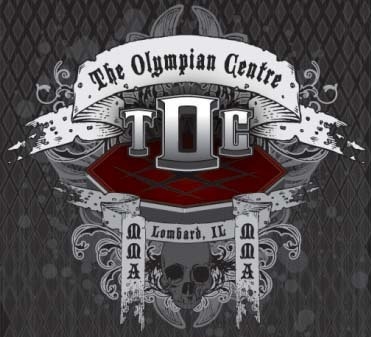 Info: he Olympian Centre (TOC) is a high energy Mixed Martial Arts (MMA) training center located in Lombard, IL approximately 25 minutes West of Chicago, IL. The training center opened in September of 2007 as a partner and franchise of Randy Couture & Xtreme Couture. In 2009, TOC stepped out individually while continuing to offer superior training and produce winning amateur and professional combat sport fighters. TOC is strategically linked to CrossFit DuPage and together this outstanding 7,000 square foot training facility welcomes men, women and children (age 12+) from beginner to advanced levels. The facility includes a full size UFC-style octagon, wrestling mats, free weight equipment, weight machines, heavy bags, speed bags and cardio equipment. With one of the largest cages in Illinois, TOC provides its members with an experience that is true to life. “If you want to make the big leagues in this sport, you have to train with big league equipment, like a full size cage.” – Pete Becker, Owner.